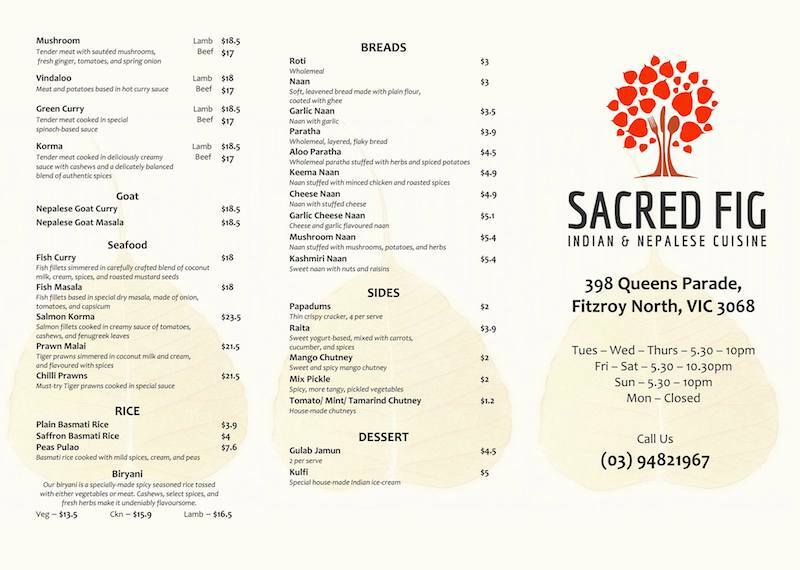 In the former Tutti I Sapori building, 398 Queens Parade, Sacred Fig opens Thursday 30th August. 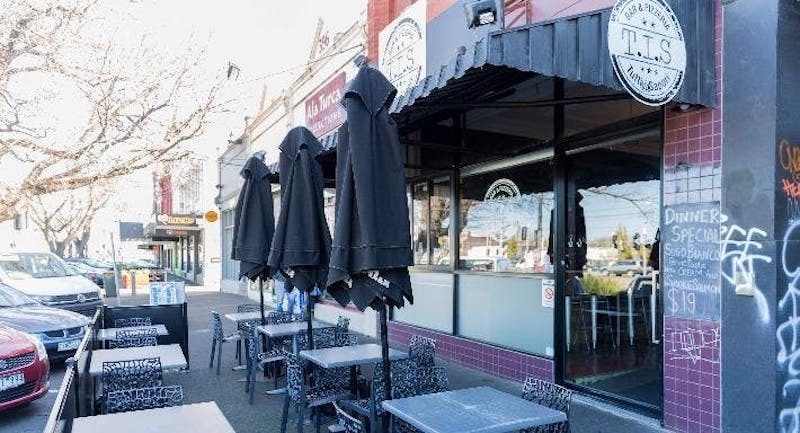 It is an Indian and Nepalese Restaurant. Of particular interest to us is that they do not use peanut oil, so our peanut intolerant friends can dine there. Sacred Fig will be open from 5.30 most days (Closed Mondays). Post Scriptum: we ate there opening night and it was fabulous. We had plain Basmati rice with our Green Chicken Curry (yay, spinach) and Lamb Korma. The cheese naan was good and the Kulfi was too delicious for words. It comes in Mango (work of the devil!) and plain, rich, creamy and filled with pistachio nuts. We will be going there regularly. However, they have not yet quite resolved the heating, so dress warmly I until that happens. Regrettably, they do not open for lunch.